Wars, and rumors of war, strike black marks along the entire span of human history. That humans fight with each other is not unique. One of the first true “Birth Pains” that will indicate that the “time of the end” has finally arrived is Nation Rising Against Nation, and Kingdom Rising Against Kingdom. These phrases (“nation rising against nation”, and “kingdom against kingdom”) were a Hebrew idiom meaning war involving the entire known region. Since the entire world will be involved in the “time of the end”, it would suggest that the “nation rising against nation” mentioned by Jesus would most likely be along the lines of what we would consider World War 3. It will involve many nations. World Wars 1&2 did not qualify as fulfilling this sign because they occurred before the rebirth of Israel as a nation (see the Fig Tree Sign) and did not include the accompanying “birth pain signs“. The prophecy in Isaiah 17 points to the complete destruction of Damascus, never to be restored again. This is noteworthy because presently the city is recognized as the world’s longest continually inhabited city. Other cities (not specifically defined) are affected as well, and will be abandoned and desolated. Jeremiah 49:23-27 contains a prophecy concerning Damascus that connects its’ destruction with “that day” where they will “melt in fear”, and will be seized in panic when anguish and sorrows take hold of her as of a woman in labor. 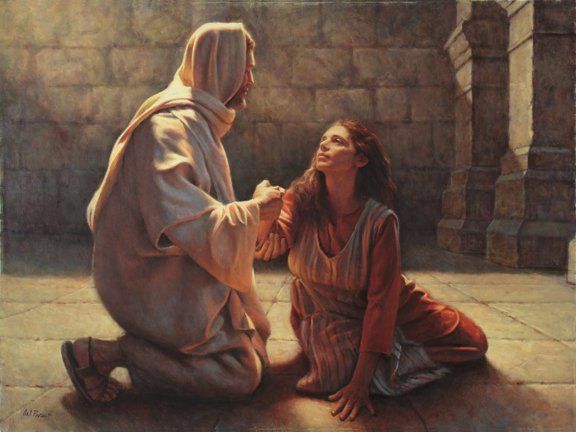 There are strong connections between a woman in labor and the Time of Jacob’s Trouble (Revelation 12:1-5, Isaiah 26, Isaiah 66). Jeremiah is certainly talking about the same event mentioned in Isaiah 17, which seems to be connected to the start of the “Tribulation” (Daniel’s 70th Week / the Day of the Lord). Isaiah 17 also mentions that in “that day people will look to their Maker and turn their eyes to the Holy One of Israel”. This is consistent with the purpose of the entire Day of the Lord, from start to finish – God will use judgment to get His people’s attention and draw them back to Him. The “many nations” and “peoples” who are attempting to plunder Israel are “driven before the wind like chaff on the hills, like tumbleweed before a gale” in the span of one evening/night. It seems that the enemies flee, and are not destroyed. Psalm 83 is a prayer of the prophet Asaph. In it, he requests for God to break His silence towards Israel and protect her. He mentions a specific group of nations wanting to wipe Israel off the face of the map. The nations include Edom, Ishmaelites, Moab, Hagrites, Gebal, Ammon, Amalek, Philistia, Tyre, and Asshur. Modern day equivalents seem to be Egypt, Jordan/Palestinians, Syria, Iraq, Saudi Arabia, and Lebanon. This war appears to have been at least partially fulfilled in the Six-Day War of 1967. The exact nations described in Psalm 83 issued a coordinated attack against Israel, and Israel was victorious. It’s also possible that the complete fulfillment, or a dual fulfillment, of this war is yet future. An interesting detail noted in Obadiah is that it places the battle against Edom (included in Psalm 83) near the Day of the Lord – “For the day of the Lord is near upon all the nations. As you have done, it shall be done to you; your deeds shall return on your own head.” (Obad 1:15 ESV). The reference of being near the Day of the Lord could refer to 1967, or it could yet be future. The Day of the Lord was drawing “near” upon all the nations 50 years ago… but it is certainly nearer now. Ezekiel chapters 38 and 39 detail a very specific war against Israel. For it to occur, Israel must be existing in a state of “peace and safety” (“betach”). What this is exactly is debatable, but it seems that it involves either some overconfidence or lack of awareness (carelessness) on Israel’s part. She will not be actively at war when these nations attack her, and she will be caught by surprise. A future leader or supreme commander, Gog (the spiritual entity behind the geographical region of “Magog”), of the land of Magog (Russia? Turkey? ), will oversee a vast military alliance which will be heavily armed. The alliance appears to be primarily Islamic, and their goal will be to overtake Israel’s resources. It seems that Russia (Turkey?) will be joined by Iran and Islamic nations from north and east Africa (Ethiopia, Libya, Somalia, Sudan, and others), plus Islamic nations of the Middle East and Central Asia (Turkey, Kazakhstan, Turkmenistan, Tadzhikistan, Uzbekistan, Kyrgyzstan, and others). There may be mild protest to this invasion from unspecified nations (USA? ), but there will be no intervention in support of Israel and Israel may not even have time to defend itself. God will completely destroy the invading armies and send destruction to their homelands through a global earthquake, internal chaos and infighting, pestilence, torrential rain, hail, fire and brimstone. What begins as divine judgment on the troops surrounding Israel will expand to include the whole world. (Note there are strong connections to Seal 6 in Revelation 6 as well as the first Trumpet Judgment). Basically, God will raise Israel’s enemies up against her in such a way as to guarantee her destruction, just so that He can prevent her from being destroyed. God breaks His silence with Israel for the purpose of announcing to an unbelieving world – Israel herself and all the nations – that He is still here! He intends to fulfill His covenant promises and reclaim Israel as His people and His land. God mentions this purpose 70 times in the book of Ezekiel; four times in these two chapters alone, to ensure He gets His point across. It’s impossible to overemphasize the significance that God Himself is arranging this war exactly according to His schedule. God has one final test for Israel. He will use Gog / Magog as a challenge for both Israel and the nations. It will be deliberately presented so that it can be interpreted by Israel as the final war (Battle of Armageddon). Will Israel then turn to Jesus as the true Messiah, or will she embrace the anti-Messiah that satan will raise up? Gog, the commander, will die upon the mountains of Israel along with his armies. After God intervenes and destroys the army, Israel will spend 7 months cleansing the land and burying the dead. Israel will also be able to use the invaders’ weapons as some type of fuel source and will plunder their equipment. They will do so for a period of 7 years (but there may be more than 7 years’ supply available). At the 7 year point, something will happen to intervene with this use if the supply has not run out (I would suggest the Second Coming of Jesus Christ). I believe the 3 wars detailed above (Isaiah 17, Psalm 83, Ezekiel 38-39), in addition to the World Wars (Nation Rising Against Nation), occur in very close proximity to the rapture of the true church (those who have been “born again” through the blood of Jesus Christ). However, they may possibly be included in the description of the Antichrist’s rise to power. I am confident that it will become very clear at the time it occurs! The details of the Antichrist’s rise to power is found in Daniel chapters 7, 11, and Revelation chapter 13. A Lion – which will rise up swiftly and strongly, then be toned down considerably. It’s possible this is parallel to the King of the South, who attacks the antichrist but will be subdued by him (Daniel 11:40). A Bear – a ferocious kingdom acting out of perceived threat. It will have three initial great conquests. This kingdom may be tied to the King of the North (Daniel 11:40). A Leopard with Four Heads – a very swiftly rising kingdom with 4 main leaders or nations. It may “lay in wait” patiently before suddenly rising up extremely quickly. Perhaps this kingdom is associated with the King of the East, or “news” from the east that troubles the antichrist (Daniel 11:44). It may make an agreement with the “King of the North”. A Beast – exceedingly strong kingdom with no hint of weakness. This coalition of nations may involve the west, plus a scattering of remnant nations not incorporated into the other 3 Kingdoms. It will initially be a coalition of 10 leaders/nations. An eleventh leader will rise up, replacing three of the original members. It would appear that this eleventh leader, the antichrist, will attempt to fulfill the messianic expectations of the Jews (Ezekiel 34:25; Isaiah 54:10). The Beast Kingdom will Devour the Other Kingdoms – In Daniel chapter 11, we are given a description of how this fourth Beast kingdom devours the other three kingdoms until ultimately the antichrist rules the entire world. The antichrist, through the power of Satan, will succeed in conquering the world. His wars are detailed in verses 40-45; he may use generous diplomacy (rewards) in addition to actual fighting. We have now arrived at the midpoint of Daniel’s 70th week – halfway through the “Tribulation”. The Antichrist is about to proclaim himself to be “god”. Daniel 7:21-25 and 12:1 describes the turning point where the Antichrist’s Kingdom has now taken over the entire world. He will declare himself to be “god” at this point, which begins the time of “greatest tribulation” for followers of Jesus Christ. This is also detailed in Revelation chapter 13. The antichrist is granted 1260 days of authority by God. After this, his reign will come to an end at the appointed time – at the second coming of Jesus Christ. Both Daniel’s and John’s visions confirm that the judgment of the Beast occurs at the end of his rule, right before the Millennial Kingdom begins. This is the next major battle – the Battle of Armageddon. The battle of Armageddon is detailed in Revelation 19 and Zechariah 14. It comes at the end of the time of “Tribulation” (Day of the Lord / 70th week of Daniel). The antichrist, the false prophet, satan (the dragon), and their deceiving spirits collect a vast army from ALL the functioning nations of the world. The antichrist, empowered by satan, likely deceives the world into believing he is the “true messiah”, or the “true god”. In order for his rule to be complete, or for humanity to evolve spiritually (or whatever he’s going to claim), he will claim something about humanity needing to collectively fight against and defeat Jesus. It’s the ultimate battle between good and evil, the climax of the age of humanity. The Euphrates river appears to dry up to allow the “kings from the east” access. This is done under the authority and at the command of God as indicated in Zechariah 14. The antichrist and his armies assemble in a Valley called Armageddon. In Hebrew, this word is Har-Magedone, meaning “mount” or “hill” called Megiddo. A possible location is the hill country surrounding the plain of Meggido, about 100km north of Jerusalem. It’s also possible that the Battle of Armageddon is in and around the end-times city of Jerusalem. This would correlate with the destruction of Mystery Babylon, which appears to be the end-times city of Jerusalem. This connection is made in Zechariah 14, when the Lord gathers all nations against Jerusalem to battle. Since we have been told that the antichrist is given exactly 1260 days of authority over the nations, and this authority begins at the “abomination of desolation” when he sets himself up as god in the Jewish Temple, this “Battle of Armageddon” would seem to occur 1260 days after the antichrist claims to be god. It can also be calculated as 2520 days after a confirmation of a covenant with Israel (either a peace/land type covenant made with the antichrist or false prophet, or perhaps a re-confirmation of the Abrahamic covenant by God Himself after Ezekiel 38-39). Once the nations are gathered, Jesus appears in the clouds of heaven in power and great glory, mounted on a white horse (Revelation 19). He comes in judgment. First, the beast (antichrist) and the false prophet are thrown alive into the lake of fire (Daniel 7). Then, satan is thrown into the abyss and chained for 1000 years – the duration of Christ’s Millennial Kingdom. After the fallen supernatural beings have been dealt with, Jesus will defeat the human armies gathered at Armageddon with one swift fiery blast from His mouth: “And the rest were slain by the sword that came from the mouth of him who was sitting on the horse” (Rev 19). The sword is the Sword of the Spirit – the Word of God. It’s not going to be a good death – “And this shall be the plague with which the Lord will strike all the peoples that wage war against Jerusalem: their flesh will rot while they are still standing on their feet, their eyes will rot in their sockets, and their tongues will rot in their mouths. And on that day a great panic from the Lord shall fall on them, so that each will seize the hand of another, and the hand of the one will be raised against the hand of the other.” (Zechariah 14:12-13 ESV).